Agilent Biocius Rapidfire 300 High Throughput MS Sample Analysis Drug Discovery . New Life Scientific, Inc. The RapidFire 300 is in excellent cosmetic condition with no noticeable blemishes or signs of damage. 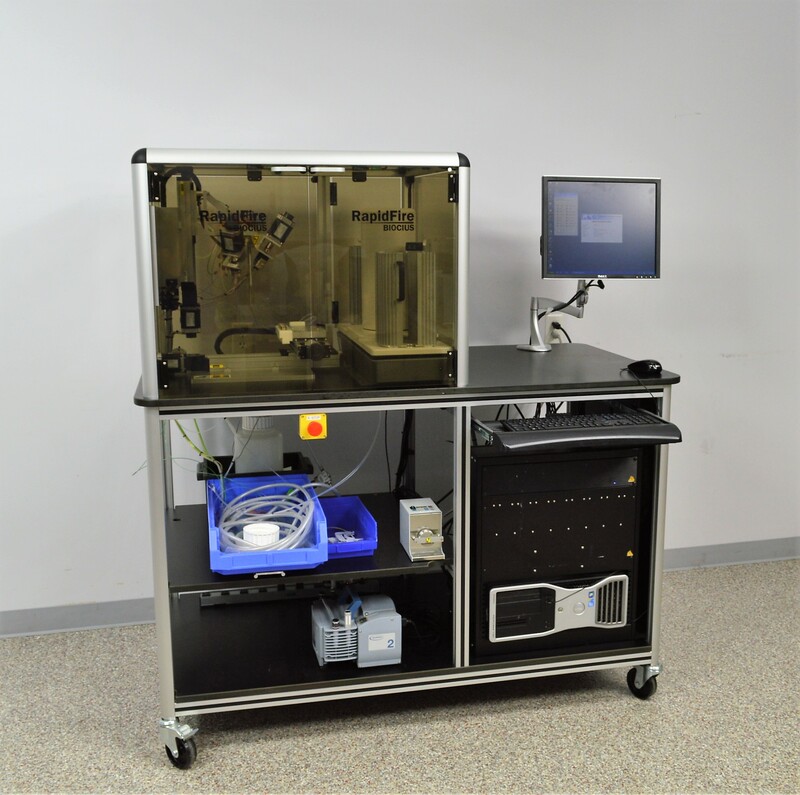 The RapidFire should be incorporated into a larger system and performs sample well plate preparation; this advertisement does not include a mass spectrometer, analysis software, nor liquid chromatography instruments. The controlling software requires a network connection and can be integrated into the MS software (not included). The original shipping crate will be included with this purchase. The technicians inspected this instrument and noted that it was well maintained. Using the date stamp from the PC, it appears this system may have been manufactured in 2010. This instrument arrived with the original factory shipping crate and has data from use in 2010-2011, with previous digital folders for the MS Agilent MassHunter (not included). It is possible that the data was uploaded to the network after 2011 which would explain why there were no other records. The RapidFire 300 includes the Caliper Twisted plate handler for stacking and moving well plates which was confirmed functional. The Dell T3500 workstation has RapidFire UI, Integrater, and Twister software pre-installed. The peristaltic pump can be controlled using the RapidFire software, but the vacuum pump and regulator are simple on/off controlled.